Today it’s the Plague Bearer template with the Plague Bearer Vargouille sample creature: "Plague bearer vargouilles are often used by those evil creatures that wish to quickly spread disease. They gleefully bite other creatures and flap away, leaving the diseases to do their worst." 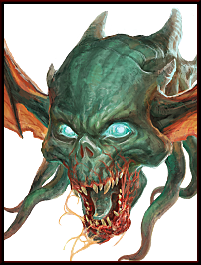 Download the Plague Bearer template and monster for free!